KRATIE PROVINCE, Cambodia – When pregnant women need emergency care in Cambodia’s rural Kratie Province, help is often out of reach. 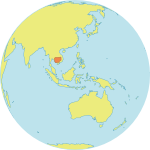 The 11,000 square km province is served by just one major highway. It is also split in half by the Mekong River, separating many from life-saving care. The Waiting House for Pregnant Women with Complications, established in 2011 with UNFPA support, is helping to change all this. It provides boarding, monitoring and midwifery care to expectant mothers – particularly those with high-risk pregnancies – in the days or weeks leading up to delivery. 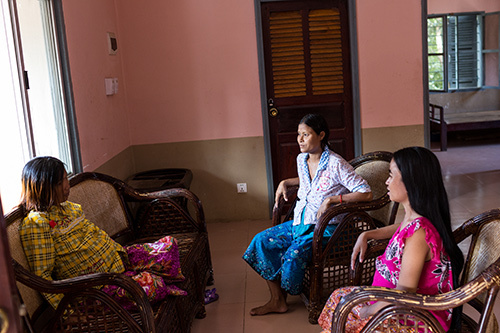 Kratie Province has Cambodia’s lowest rate of pregnant women receiving skilled care. According to the UNFPA-supported Demographic and Health Survey, conducted in 2014, only about 52 per cent of women in Kratie give birth under the care of skilled health workers, and only 46 per cent give birth in health facilities. Ms. Net has already given birth to 10 children, all of them at home. During two deliveries, she experienced severe complications, and as a result those babies did not survive. Now, Ms. Net has exceptionally high blood pressure, which health workers worry could result in life-threatening haemorrhaging during her next delivery. “When they told me I was at-risk and needed to come to the hospital, I was nervous because I don’t have any money,” Ms. Net said, in her brightly coloured private bedroom at the waiting house. She will stay at the facility, which is on the compound of the Kratie Provincial Hospital, until after she has delivered. “I was surprised to learn that this service is free,” she said. At-risk women can arrive well in advance of their expected delivery date. Once admitted, they receive food, medication, antenatal check-ups, and the attention of midwives – all free of charge and within walking distance of the hospital’s modern maternity ward. Ms. Net says the presence of midwives, combined with the clean and home-like environment of the waiting house, has greatly reduced her fear of giving birth. “Now that I am here, I recognize that these midwives are much more skilled than the birth attendants working in my village. When I faced complications during [my two] previous births, no one knew what to do, and the babies died. 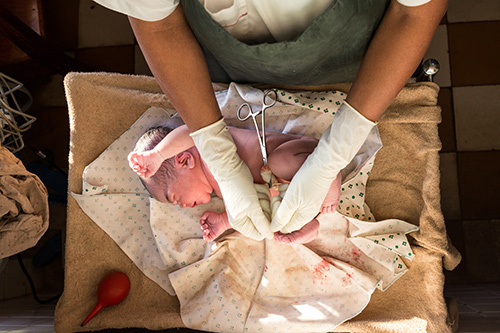 The midwives here make me feel safe and provide me with knowledge and treatment,” she said. The midwives have also provided her with counselling on family planning, which will give her the ability to avoid future high-risk pregnancies and complications. Ms. Net has decided to use family planning after she delivers, and she has recommended contraceptive counselling to other members of her community. She has also encouraged friends and loved ones to come to the waiting house when they are ready to give birth.